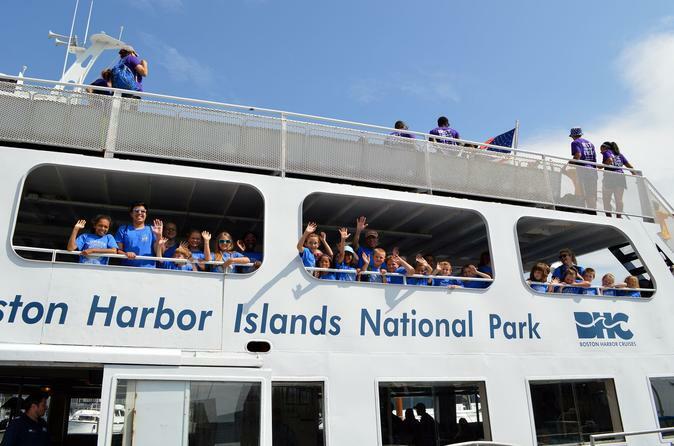 View some of Boston's best sights and landmarks from the water as you depart Long Wharf North and cruise through Boston Harbor en route to the Boston Harbor Islands for a day of fun. This roundtrip ferry is your ticket to the islands with multiple departure times. Choose to cruise to either Georges Island or Spectacle Island, each unique and historic. True to its name, Spectacle Island is a wonder to behold. It’s one of the greenest of the Harbor Islands, home to wildflowers, sea grasses and a sandy beach for swimming. Come out for a day by the water, a picnic lunch or a hike to the summit of the area’s tallest hill. Georges Island is a Civil War monument unto itself. The walls and ramparts of Fort Warren encompass almost the entire island—they’re also a frequent haunt of a reputed ghost known as the Lady in Black. The well-manicured grassy parade grounds are great for a walk; take in the new museum dedicated to the island’s history; or just admire the views of Boston Light and the city skyline.